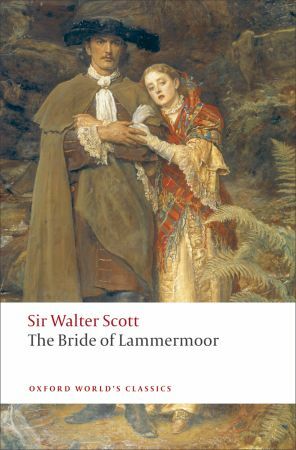 This year I managed to read Scott’s ‘The Bride of Lammermoor’, and Muriel Spark’s ‘Symposium’ (in-between my confusion over what to do with ‘The Small House at Allington’ – it was a packed holiday). The Muriel Spark was one I’ve been looking forward to for a while and which I thought might make for a welcome change of pace between all the 19th century doorstops I’ve been hauling around with me. 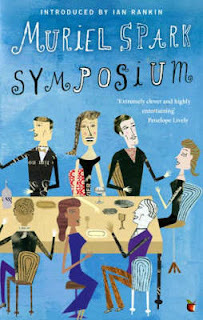 So far I’ve not read a Spark I didn’t like but ‘Symposium’ is defiantly the oddest offering yet from a writer who doesn’t shy away from odd. It’s billed on the back blurb as being the story of a dinner party where connections are made between the characters and tensions build. There is also talk of boiling emotions and ugly motives all of which is quite true but only gave me the sketchiest indication of what was actually in the book (it’s either a really good blurb or a really not good one I can’t quite decide). Surely not many writers could pull off a trick like this in less than a 150 pages – Spark makes it look effortless. Every week is Virago week with me (number of virago modern classics bought in the last 7 days – 8, so it’s been a good week, and you can probably guess it’s been pay day as well) but a semi official ‘Virago reading week’ (thanks to Rachel and Carolyn) has been interesting. 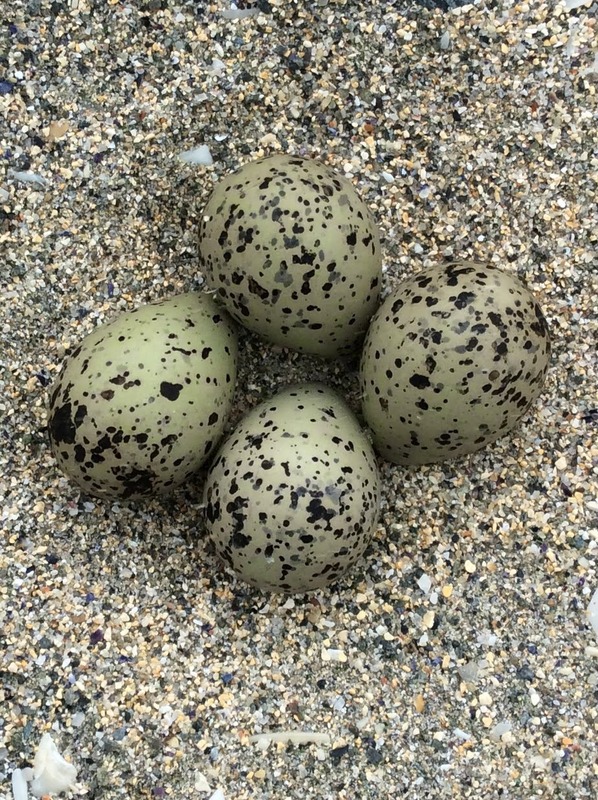 It’s fascinating to see how many of us there are who share a love for this particular imprint, and how general the feeling of ‘discovery’ is (nobody ‘discovers’ penguin). Publishing and especially the publishing of ‘lost’ classics has changed almost beyond recognition in the last decade and a half, but when I first found Virago there was nothing else quite like it – nobody else giving back a voice to the generations of women who earned a living through writing but were lost to the canon. No longer an independent publishing house and the iconic green jackets a thing of the past (but oh so collectable) I still think Virago are one of the most exciting imprints around. The list might be smaller than in its heyday but arguably the overall quality is a shade higher – long may the good work continue. Tomorrow (25th January) is becoming one of my favourite days of the year – it’s Burns night which I think is a terrific occasion – it’s taken me a while to come round to the idea of Haggis but I’ve got there, and either way it’s worth eating to hear the Scottish one address it. 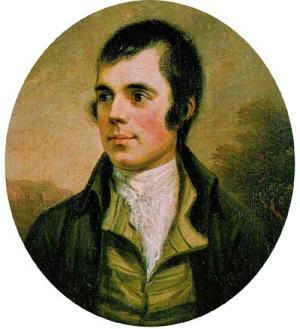 It’s a chance to cook, dress up a bit, get some people together, drink one whisky to many, wash up for hours, celebrate a poet, and lighten the January gloom. I’m right behind (most of) those things and don’t understand why we have nothing comparable south of the border. 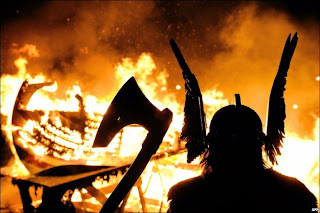 This year the 25th is also the last Tuesday in January which makes it Up Helly Aa (when the axe for what they want), this is a Shetland tradition that goes back about a hundred years in its present incarnation but has much older roots. 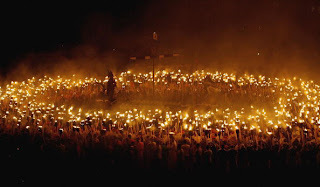 It’s a weird, wonderful, fire festival which keeps on evolving. Growing up in Shetland it was a massive deal (and I judge still is) everything closed down at lunch time on Tuesday and reopened again on Thursday morning. Shetland only has a population of about 20,000 across the islands so the 800 or so that take part in the procession represent a real crowd, add to this that they are all dressed up (the chief squad as Vikings the rest as all sorts of things, some that you couldn’t imagine – and wouldn’t want to – without seeing them) it’s quite impressive and worth a google. If you’re feeling particularly broad minded then look on you tube for clips of what goes on for the rest of the night. Over the years Up Hella Aa has expanded into a whole burning season that stretches from late January into March and I would love to do the lot one year (damn having to work for a living) but the important thing is having a celebration that marks the beginning of the end of winter – it’s discernibly lighter at night now, and things in the garden are showing signs of life (of the 50 odd snow drops I all but broke my back over planting 1, yes 1, has decided to do the business). Up Helly Aa doesn’t really translate to Leicester, but if I’m not Scottish enough to claim Burns as a countryman, I feel as a book lover I can have him as a poet and take the occasion to celebrate the return of the light. The Borders is Walter Scott country and although on a previous visit I made it over to Abbotsford it’s many years since I attempted to read any of Scott’s books; my last try was ‘The Pirate’ which I spent time on getting because it’s set in Shetland and failed to finish because it’s unbelievably turgid stuff (deservedly all but out of print I’m sorry to say). Still it’s been on my mind to have another try for a while and New Year what with being in the heartland seemed like a good time, Oxford University Press were kind enough to let me have a copy of ‘The Bride of Lammermoor’ and that was me set (fortunately I didn’t forget to pack this one). 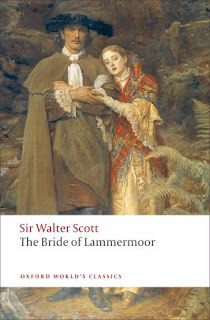 I’m glad I’ve given Scott another go because I thoroughly enjoyed ‘The Bride of Lammermoor’ (there will be more Scott in my near future) it’s a rattling good read. I was expecting something a little drier than the heady mix of adventure, romance, and mysticism dished up here, Scott is a lot more fun than I thought he’d be. 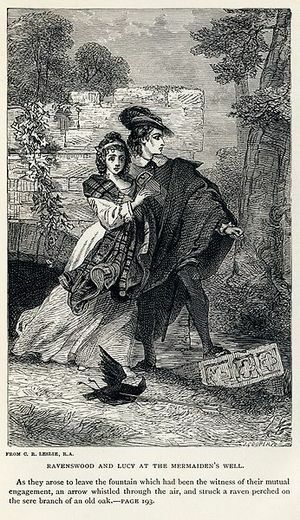 ‘The Bride of Lammermoor’ is set around 1707 – Queen Anne is on the throne and I think the act of union between Scotland and England is just taking place Jacobite Tories are getting the thin end of the wedge and Edgar, Master of Ravenswood, is burying his father with all due ceremony and what remains of his fortune. Robbed of his patrimony by the machinations of Lord Ashton he swears vengeance for himself and his father and sets off back to his ancestral home to challenge Ashton before a planned flight to the continent and the cause of the king over the water. Things don’t go quite according to plan, instead of bloody revenge Edgar rescues Sir William and his inconveniently beautiful daughter from certain death in the form of a rampaging wild bull (which makes me wonder – did Trollope borrow the bull incident in ‘The Small House at Allington’ from Scott? He certainly alludes to Jeanie Deans from ‘The Heart of Midlothian’). Out of pure chivalry Edger carries Lucy to a woodland grotto reputed to be fatally unlucky to the Ravenswood’s and unsurprisingly she falls in love with the handsome stranger who saves her life. Sir William is grateful too and determines to do something for the young master especially when it seems the political tide is about to turn and Edgar’s chances of reclaiming the family property are beginning to look good. With this in mind Sir William encourages an intimacy between the young couple to grow up which ends in a secret engagement and the return of Lady Ashton. Lady Ashton could give Lady Macbeth (and Mrs Proudie) a run for her money and isn’t precisely pleased with the way things are going. Edgar is banished and Lucy effectively imprisoned whilst her mother sets to work on breaking her spirit – to such good effect that when Edger finally returns it’s to witness her signing the settlements to marry another man. It’s not destined to be a happy marriage though – the bride loses her mind and stabs the bridegroom on their wedding night (this is actually based quite closely on a true story). I found Lucy a fascinating heroine – at the outset she’s still a girl more than half immersed in the idea of romance. Loving, kind, and the darling of all but her mother she is described as having “the softness of a mind, amounting almost to a feebleness” there is part approbation and part warning in this statement. Lucy’s softness allows her to accommodate the needs of all, especially the men (in the form of father and brothers) around her; there are no rough edges to exacerbate them, or to make anyone fear her. She needs the masculine strength of a Ravenswood to cling to for support, and he in his turn is the more deeply ensnared because he feels she needs his protection so despite both parties feeling some trepidation regarding the personality of the other they become increasingly interdependent. Lady Ashton knowing her daughters weakness no doubt feels that bending her will should be an easy matter. It isn’t, once Lucy’s passions are awakened she is set on a course of silent resistance the breaking down of which utterly destroys her – but all of this is discussed far more expertly in the introduction so I should probably stop now before my word count runs wildly out of control. It feels like an age since the New Year (certainly more than 3 weeks) and my trip up north. I took a pile of books confidant through the haze of ill being that constituted ‘The Cold’ that I would work my way through them. Alas my eyes were bigger than my desire to concentrate and I didn’t do very well. It also seems that packing with a bad cold is very like packing when blind drunk, so for a winter stay in Scotland with a New Year’s party I forgot gloves, the top half of my pyjamas (which I thought I remembered packing and eventually found under a cushion on the sofa when I got home – no idea what happened there). I neglected to take any sort of semi formal party wear of the sort approved of by my father (though I did remember pearls which I feel went a long way towards making things proper), didn’t manage to wrap my sisters Christmas present but found sachets of instant yeast at the bottom of my weekend bag - although the shampoo I was looking for would have been a better item to take and finally and surely even more inexplicable than the pyjama episode I took the wrong Trollope. It should have been ‘Framley Parsonage’ but turned out to be ‘The Small House at Allington’. I was a hundred pages in before I realised my mistake which left me with a dilemma of sorts – put the book down and wait until I could read them in order or carry on regardless? After plenty of dithering and a bit of advice which suggested that reading the books the wrong way round wouldn’t matter too much I carried on and finished ‘The Small House’ (it has meant spoilers for ‘Framley Parsonage’ but hopefully nothing to central to the main plot). After ‘Dr Thorne’ ‘The Small House’ feels like a very different beast – in short it’s a much better book; the plot is tighter, there’s much more action, less repetition, perhaps more human interest, and a scene with a bull. The heroine of the piece is Lily Dale (good family, no money, attractive) who meets and falls in love with Adolphus Crosbie (limited but comfortable means, ambitious, able) a friend of her cousins. 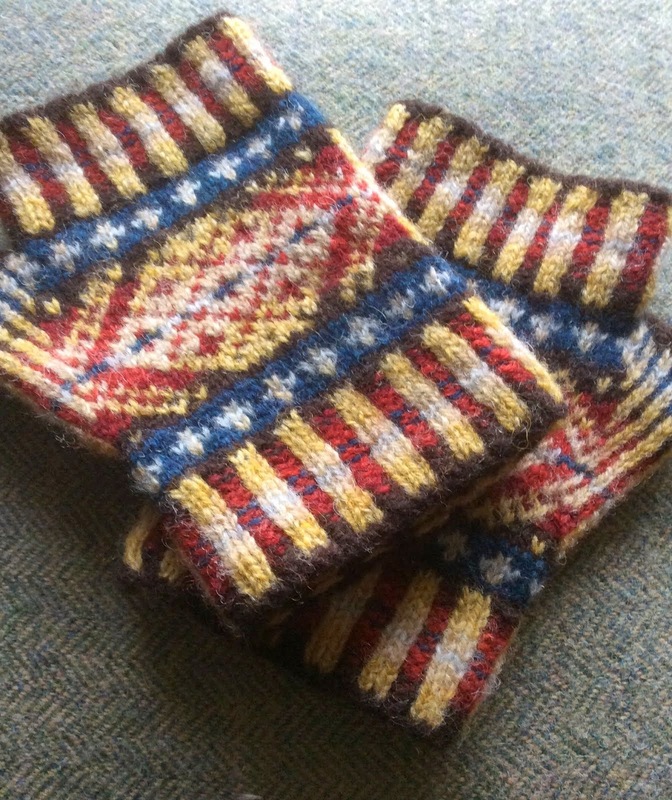 Within a few weeks they are engaged and Lily has given herself heart and soul to Crosbie. Crosbie who isn’t exactly a bad man proves to be entirely unworthy of Lily’s love when within a week of leaving her side he engages himself to a woman of better birth. Lily is publically humiliated and privately broken hearted as befits a young woman who’s been dumped and effectively lost her job in one fell swoop, but she carries on loving Crosbie all the same feeling herself to be almost his widow and won’t hear a word against him. I found myself with a degree of sympathy for Crosbie; carried away on a holiday romance he clearly proposes before he’s really ready to commit himself and when he finds Lily will bring nothing but herself to the marriage he gets cold feet, but this is part and parcel of his ambitious nature and then Lily throws herself so entirely into the affair it would be hard to resist the momentum she creates. 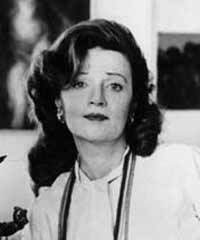 Even after she’s jilted Lily persists in forgiving Crosbie for his crimes against her and in loving him as wholeheartedly as ever regarding herself in the light of a widow, nor will she allow anyone else to speak against him in her presence. 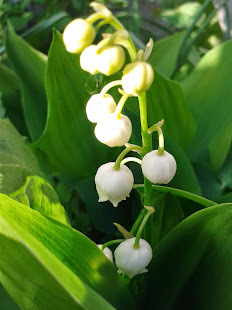 I couldn’t help but feel that Miss Dale was treated with altogether too much forbearance by her family and friends; if ever a girl required a good talking to Lily does. And now for the rest of the book – there is the fate of Lily’s sister Bell to be decided (Bell is a far more interesting heroine to my way of thinking; she has self control and a radical turn of mind), there are a host of characters to be introduced or disposed of including Plantagenet Palliser which has thoroughly whetted my appetite for the Palliser series, and the De Courcys who I’m always happy to be outraged by. There is also the hero; a young man who loves Lily but has somehow entangled himself in a sort of engagement to his landlady’s daughter, and who acquits himself well in the adventure with the bull. 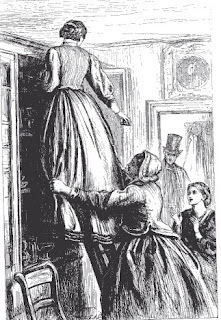 For me Trollope’s strength as a writer lies in his exploration of the everyday, I really believe in the protagonists in ‘The Small House’, I can love them for their flaws and share in their dilemmas. There might not be many surprises but the world he creates is as absorbing as it is comfortable and ‘The Small House at Allington’ has certainly fed my enthusiasm for the man. Three words that are dominating my facebook account at the moment, and certainly dominated my television time last week. The issue's are ones that I feel reasonably strongly about and not unusually the more I hear about it the more interested I become. Briefly for anyone who’s missed this it’s a campaign to bring attention to the problems of fishing to quota, (specifically the discard problem where perfectly good and commercially valuable fish is thrown back dead because quotas are filled and it can’t legally be landed, or perfectly good fish is thrown back because we don’t generally eat it so it has no commercial value) and of relying too heavily on 3 key species – cod, tuna, and salmon. I’m hazy about the details of tuna fishing but know plenty about salmon farming and the environmental problems it raises. Anyway it’s been an interesting if emotive series of programmes, I signed up to the petition and have been unable to avoid more press coverage which brings me to the point where I’ve started to become radicalised... The moment of whole hearted conversion to the cause of Hugh came courtesy of a slightly disparaging Guardian article (no link because for some reason they always seem to break) which asked what a win for the fish fight would look like. Comments were mixed though mostly critical the most constructive pointing out that this campaign isn’t offering many answers to the problems in the fishing industry that it’s highlighting. Hopefully the other half million plus who have signed up to the petition will all be making the same resolutions – fish sales have gone up (evidence from my own work place – everything but salmon sold out) which is quite exciting. If I really think about the money I’m spending, if we all think about it, who knows what might be achievable? 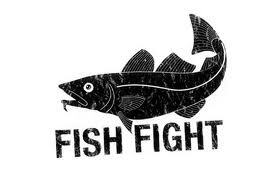 (And now I’ll admit that my imagination is drifting off to a halcyon vision of a reformed Waterstone’s...) Anyway I’ve thought about it, I’ve made a resolution, I’m talking about it – for me that constitutes a minor victory for the fish fight campaign. 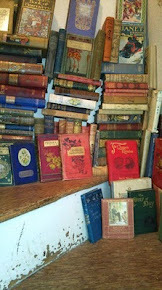 So much for the author, now what about the books? 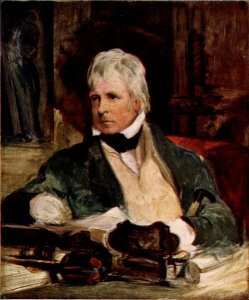 ‘The Semi-attached Couple’ was written around 1830 but not published until 1860, the year after ‘The Semi-detached house’ came out (slightly confusing). Both books feel very much of their time; in ‘The Semi-attached Couple’ it’s all horse drawn carriages and has an unmistakably Georgian feel (says she bought up on Georgette Heyer). Indeed more than anything else (and certainly more than an Austen feel) reading ‘The Semi-attached Couple’ felt like reading an early Heyer. For me that’s a good thing but I must admit that I was slightly surprised at how very fresh the writing seemed, but then I find myself saying that a lot so it’s undoubtedly as much to do with my perceptions of how an older book should read as it is to do with authorial style. ‘The Semi-attached Couple’ is the story of what should be a fairy tale marriage but somehow isn’t. The bride is young, lovely, and the indulged darling of her wealthy parents her husband to be is the catch of the season, the owner of fabulous wealth and the sort of looks normally thrown away on penniless younger sons, so what could possibly go wrong? Well all sorts of things it seems. The bride has been a sheltered pet all her life and at 18 is still all but a child, she isn’t ready to leave her home, hasn’t fallen entirely in love with her husband, is to inexperienced to express her fears and is frightened by her grooms passion for her. He in his turn becomes jealous of her families influence over her, is cast into despair by her lack of affection, and all too frequently allows his temper to get the better of him. This is the situation during their honeymoon when a large house party invites itself to share the couple’s home. I’m reading Trollope’s ‘The Small House at Allington’ at the moment and finding some interesting parallels between the two books, if nothing else I’m forming a very definite impression of the house party as a hot bed of intrigue, gossip, and interference. I’m not giving much away when I say that ‘The Semi-attached Couple’ ends happily after all the complications and misunderstandings are smoothed out – the story itself is the weak part of the book. What makes the it are the details and the secondary characters who I think must have been based on people Eden knew; Lady Portmore who is by way of being the villainess of the piece makes me think she might have been based on Lady Caroline Lamb (although this is just a guess, and I might be miles off). There is a fascinating and funny account of an election and despite the happy endings some acerbic asides about marriage. 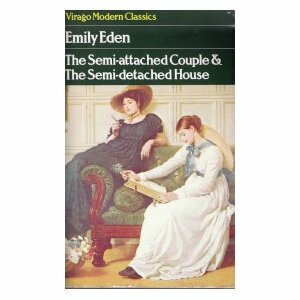 Eden who was 30 when she wrote this book was jilted as a young woman, I wouldn’t describe her as bitter, but very clear sighted about both the advantages and disadvantages for a woman in swapping the position of daughter for wife. Eden herself became a sister. In 'The Semi-detached House’ the newly married and pregnant Lady Chester is being installed in the suburbs whilst her husband makes a diplomatic expedition to Berlin. Blanche Chester is very young (18), highly strung, volatile, and very assured about her position in society. Her neighbours are a good solid suburban family who are slightly over awed by their grand new neighbours (although they initially think Lady Chester may be either a cast off wife or a discreetly installed mistress). Throughout the book the Chester household and manners are held up against the other grand occupants of the neighbourhood; Baron and Baroness Sampson, social climbers, new money, snobbish, and Jewish. I wondered for a while if it was their Jewishness which was a problem, but on the whole it’s not – although it may be that there is some small prejudice there – but it is much more that they are concerned only with facade and not at all with substance. Blanche who is the personification of egalitarian good will with her lower middle class neighbours is still savvy enough at 18 to instinctively avoid the Baroness’ overtures, but it’s the Sampson’s with all their faults and unpleasantness which make the story interesting adding some necessary shade to proceedings, that and Eden’s sense of humour which is an absolute delight. A while back Lyn at I Prefer Reading did a blog about book covers and I liked the look of an Emily Eden – ‘The Semi-attached Couple & The Semi-detached House’, a quick look online produced a longish excerpt (possibly the whole of ‘The Semi-attached Couple’ but I can’t find it now) and plenty of 1 pence copies on amazon so I ordered one. A few days later a very acceptable used copy (Virago – which was actually enough to make me buy it anyway) turned up at which point I realised I’d bought not one book but two in one (bargain). Initial excitement was only slightly tempered by being informed by the back blurb that Eden was “A true if minor successor to Jane Austen...” (a damning phrase if ever there was one) and now I’m almost ashamed to admit that the book might have remained unread on the shelf for any length of time except for having that stinking cold which made something light and romantic seem appealing. I couldn’t have chosen better if I’d thought about it (which was lucky because I was well past being capable of thinking about it). I understand the Austen reference, it seems Eden (1797 – 1869) was a big fan, ‘Pride and Prejudice’ is mentioned in ‘The Semi-attached Couple’ and I’m guessing that she wrote it partly as a tribute. There will be more about the actual books in the next few days (two books so it seems only reasonable to spin this out into a couple of posts) but at the moment I’m more fascinated by Emily herself, she seems to have been very well connected, independently wealthy or at least left very comfortably off, she travelled to India where she lived for 6 years with her brother, was a renowned political hostess (Whig), and the portrait of her that springs up on Google suggests that she was fashionably attractive. 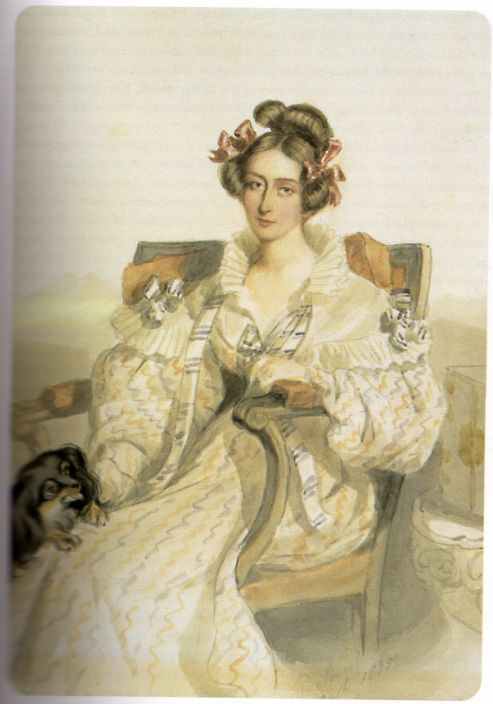 She wrote for fun rather than out of any necessity but did well out of her books and comes across as a warm, witty, intelligent, and acutely observant woman. My overall impression of both novels is one of light romance – more Georgette Heyer than Jane Austen, but (like Georgette Heyer who must certainly have known the Eden novels) with enough bite and satire to keep my attention from wandering. The letters that Emily sent home to her sister from India have also been published by Virago, and I’m hopeful that the copy I ordered will hit my doorstep any day now as I’m nowhere near having had enough of her voice, I imagine too that the letters will have more of the acerbic wit and less of the fluffy romance and I can’t wait to read them. Much as I enjoy reading older books it’s not so very often that I wish I could meet the authors, but Emily Eden would be top of my guest list for that imaginary dinner party of people you’ve always wanted to find yourself in a room with. 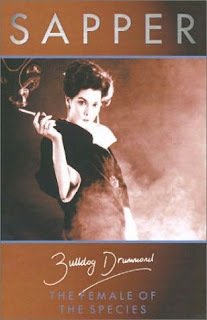 Ever since I discovered Dornford Yates I’ve had it in mind to try the world of Sapper – I bought a copy of ‘Bulldog Drummond’ about seven years ago but its contents remain a mystery to me still. 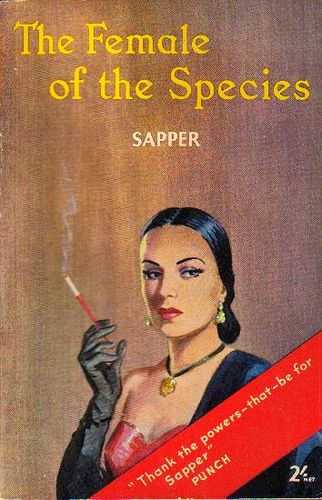 This didn’t stop me finding the blurb for ‘The Female of the Species’ all but irresistible and it made all the way to my wish list where a very nice friend rescued it from limbo and presented it to me as a birthday present. The plus side of Sapper is rip roaring adventure and action which just never stops with some nice period detail (albeit coupled with some crashing snobbery, but I like that too), enough in the way of humour and snappy dialogue to cover the bits which haven’t aged so well and a general sense of a damn good ride. The disclaimer comes with the admission that this is probably the first time I’ve ever been really uncomfortable with bad old fashioned racism in a book. Normally I’m of the opinion that the past is a different country and all that goes with that. There’s no point and no joy in judging past manners by present standards, but just occasionally something is so breathtakingly offensive that I can’t help but feel judgemental. So it is with Sapper and his attitudes regarding race, it wasn’t enough to spoil the book for me, but I’m aware that it would perhaps be more than enough to really upset a more sensitive and discerning reader. And yet despite all that hedging and wondering I still think books like this have a definite place on my shelf, I enjoy reading them and value the little period details that make reading more ‘worthy’ books more rewarding. 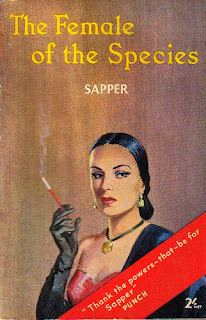 Mostly though it’s because I really love a good dollop of all action camp nonsense and ‘The Female of the Species’ ticked every box in that regard. 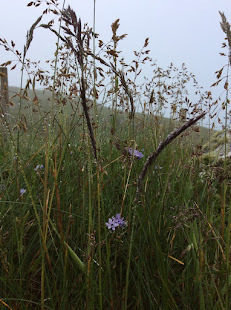 I’m hoping this post will get out soon, but (and fresh after my resolutions too) my internet connection has disappeared in a puff of frustration (damn O2 and all their works,) so mostly I’ve spent Sunday trying and failing to get online. 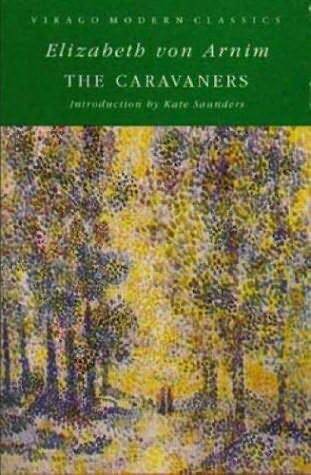 None of which has got anything to do with Elizabeth Von Arnim’s ‘The Caravaners’ which I read over Christmas. 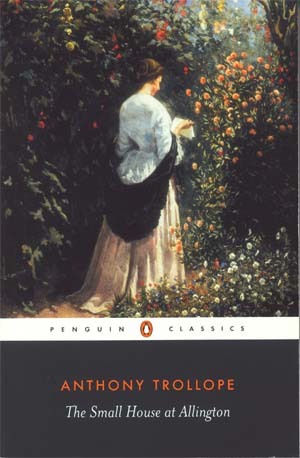 So far my Von Arnim experience has generally been of the light hearted ‘Elizabeth and her German Garden’ sort with ‘Vera’ being a shocking exception. Reading ‘Vera’ really upset me; it had all the tension of a horror story (which on a domestic level it is) and got under my skin enough to make me fractious with the men in my life. ‘Vera’ is a version of Elizabeth’s disastrous second marriage and as disturbing an account of mental abuse as has ever come my way, ‘The Caravaners’ is partly a comedy about camping but there are undercurrents far darker than I expected to come across, many of which pre-empt the later ‘Vera’, and not all of which I felt comfortable with. I realise I’m probably being a little bit unfair to ‘The Caravaners’ and to Elizabeth, it seems that unpleasant men were something of a feature in her life as well as her work, but the plot of ‘Vera’ partly hinges on whether a first wife has an accident or commits suicide but it turns out to be a recycled device that’s used in ‘The Caravaners’ albeit one that isn’t explored as fully here. It bothers me because for the first time in our acquaintance (2 years of novel reading) this is the first time I’ve come away with the impression of Von Arnim as a potentially really unpleasant person. The tale is told by Baron Otto Von Ottringe, a stern and very German husband who is insisting on celebrating his 25th wedding anniversary because although he’s only been married to his current wife for 5 years, he’s actually as he points out been married for 25, and why should he do without the celebrations when he’s done the time? For reasons partly based on economy, partly flirtation he decides on a month long camping tour of Kent and so off the Von Ottringe’s go. The problem is that Otto is really quite an objectionable character, he bullies his wife, is lazy, a snob, a bigot, and absolutely convinced that women exist only to attract and serve. Von Arnim constantly exposes this man’s weaknesses as she compares him to his travelling companions who slowly ostracise the Baron until he is altogether abandoned. Meanwhile his wife Edelgard blossoms into a far more independent personality much to the Baron’s consternation and dismay. A lot of it is really very funny, some of it sad, but I found myself confused by Von Arnim allowing Edelgard to begin to taste freedom only to condemn her to being buried alive again back home, and by her clearly identifying with characters who through personal dislike of the husband first take up and encourage the wife and then simply turn their back on her as well as him – to me it’s curiously unsatisfactory. Since I am an officer and a gentleman it goes without saying that I am also a Conservative. You cannot be one without the others, at least not comfortably, in Germany. Like the three Graces, these other three go also hand in hand. The King of Prussia is I am certain in his heart passionately Conservative. So also I have every reason to believe is God Almighty. 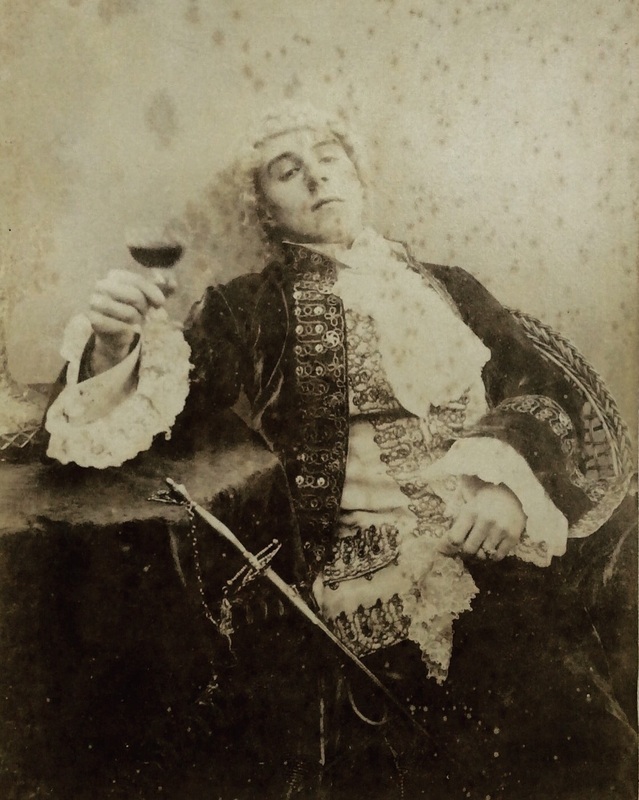 And from the Conservative point of view (which is the only right one), all Liberals are bad – bad, unworthy, and unfit; persons with whom one would never dream of either dining or talking; persons dwelling in so low a mental and moral depth that to dwell in one still lower seems almost extravagantly impossible. Yet in that lower depth, moving about like those blind monsters science tells us inhabit the everlasting darkness of the bottom of the seas, beyond the reach of light, of air, and of every Christian decency, dwells the Socialist. And whilst I don’t precisely share the Baron’s political views I’m right behind him on the joys (or lack thereof) of camping. Last year is the first time I kept something approaching a record of what I read – by which I mean a note in my diary whenever I finished a book and even then it’s quite possible I missed some. A quick count suggests 65 novels read, I think that’s more than last year, I think I also acquired books at 3 to 4 times the rate I managed to read them. On the whole I don’t have a problem with that; now I’ve started on Trollope I know I’m going to read my way through a good chunk of his work so there’s no point in waiting for prices to go up, and the same is true for good second hand finds, but at the same time I want to read more this year. Not necessarily more books but definitely more pages (some of those Trollope’s are doorsteps) so I’m resolving to spend less time watching television I’m not interested in, a lot less time playing solitaire, and a bit less time pointlessly mooching around Waterstones in the vain hope my local branch will ever stock something I want to buy. So far I’m not doing very well – a whole week away and I only managed to read 2 books, I did however get to spend some time with my family (and even better the dogs without whom no country visit would be complete) in really idyllic surroundings so it was by no means time wasted. We also visited a handful of bookshops – 2 branches of Waterstones in Edinburgh (woeful) and 3 excellent independents in the borders including the superb Main Street Trading Company in Newton St Boswells which I think is possibly my favourite bookshop anywhere for the mix of stock, atmosphere, cafe, helpful staff, and all round loveliness. Good bookshops are to be cherished, The Main Street Trading Company pretty much sums up my winning the lottery and this is what I do with my life dream. The blonde and I first found it about 2 years ago and I’ve made the pilgrimage back a few times since coming to the firm conclusion that it just gets better; very much worth a visit. And now I feel myself beginning to ramble so it seems like a good time to put my resolution into action by stepping back from the lap top and picking up a book. Happy New Year.